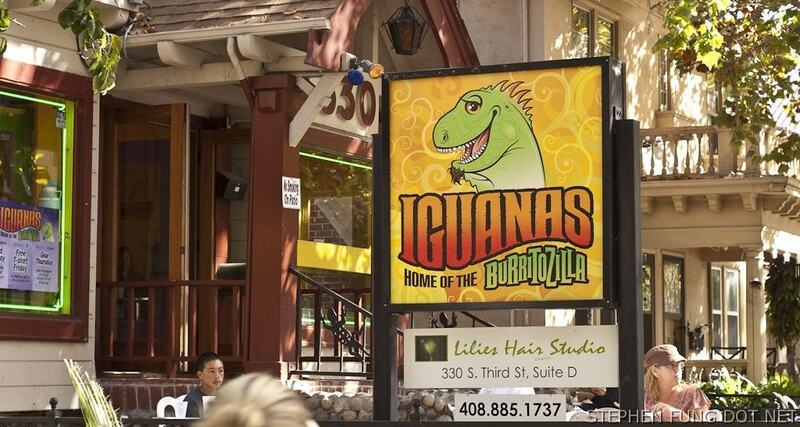 Nestled in this seemingly quiet part of Downtown San Jose is a little Mexican Taqueria known as Iguanas. This place is an easily recognizable landmark in the downtown core and has been feeding the many hungry students that attend the neighboring San Jose State University since 1994. 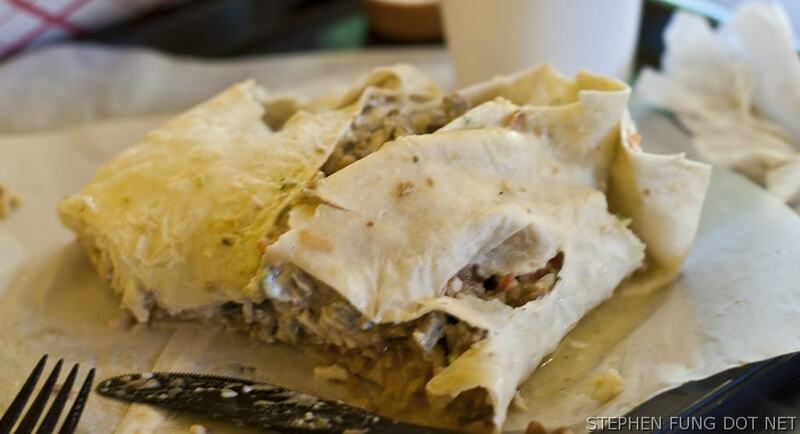 The smiling green iguana is their mascot and is also synonymous with generous portions, fresh ingredients, reasonable prices and some of the best Mexican food in the state. Behind the smiling iguana is something so horrible that even Man vs. Food’s Adam Richman had to walk away from it. In it’s underbelly is something that weighs nearly 5 lbs and is over 18 inches in length. 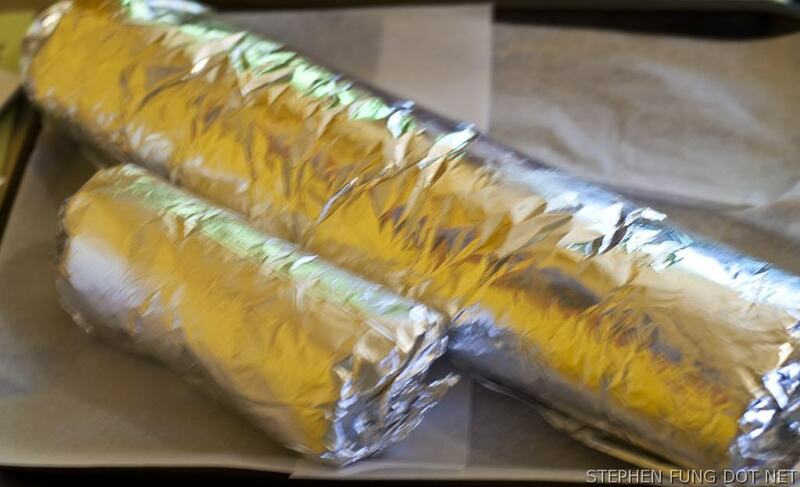 Ladies and gentleman, this horrible beast is known as Burritozilla! What an upset! 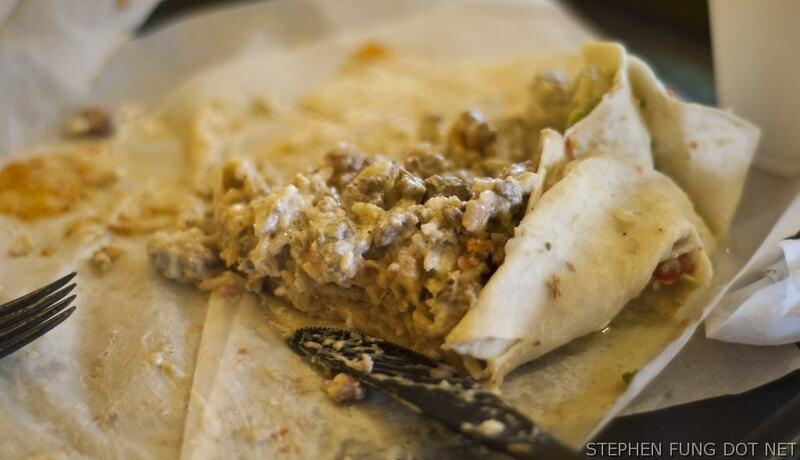 With only 1/4 of Burritozilla left, I tapped out and let the lizard win. Damn! However, with the knowledge gained from tackling two of California’s greatest food challenges, I was able to take what I learned and apply it to my challenge against Seattle’s Southwestern Exposure 12 Egg Omelet Challenge. More on that in an upcoming post so stay tuned!